Blue Ridge Dog Training Club – If You Enjoy Having A Well-Trained, Responsive Dog, Then Blue Ridge Dog Training Club Is For You! Next Class Session begins mid-May. Postmark deadline is May 8! Blue Ridge Dog Training Club (BRDTC) began in 1967 with a small enthusiastic group of area residents who shared an interest in sharing their lives with well-trained dogs. Today, BRDTC members continue this commitment by offering a variety of positive training classes for dogs and owners of all experience levels. Regular classes range from basic obedience and behavior for dogs of all ages to classes for a variety of dog sports including Agility, Obedience, and Rally. 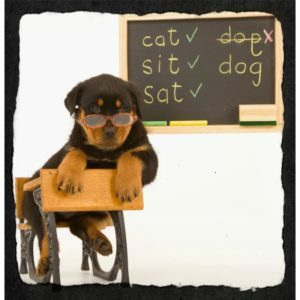 Other class offerings include Canine Good Citizen (CGC) Test Preparation and Tricks. All classes are offered to the public year-round in our Training Room, located at the Sportsplex on Commonwealth Drive in Winchester, VA. In addition to offering classes, BRDTC remains committed to encouraging a sportsmanlike attitude among those who are interested in competitive obedience, agility, tracking, and other dog-related activities. Throughout the year, BRDTC sponsors AKC trials and tests, as well as run-thrus, workshops, and seminars for agility, rally, obedience, tracking, and therapy. To learn more about activities you can enjoy with your canine companion, contact Blue Ridge Dog Training Club today.